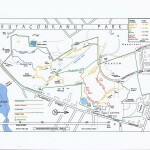 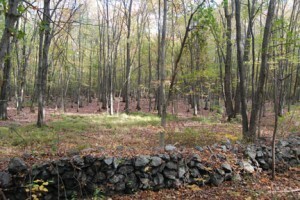 Trail Maps | Neutaconkanut Hill Conservancy, Inc. The Hill park has several miles of trails, originally constructed by the WPA (“Works Projects Administration” 1932–1943) a U S government employment agency. NHC, with the help of volunteers, and in particular, students from nearby Providence College, has reconstructed many of these paths, each revealing the beauty of the Hill with its springs and brooks, massive rock outcroppings, meadows and woodlands. 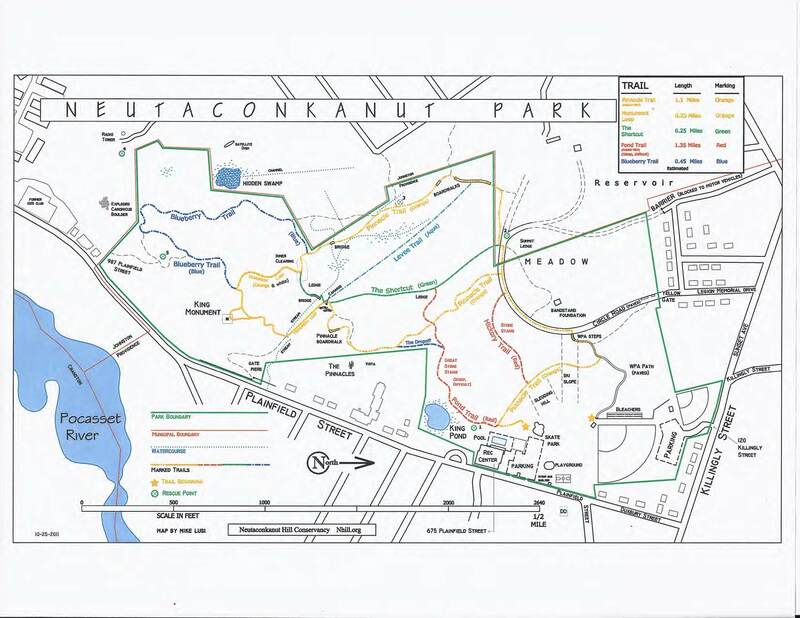 With instruction and assistance by the Appalachian Mountain Club, NHC and volunteers have built walkways over wetland, and bridges connecting trails. 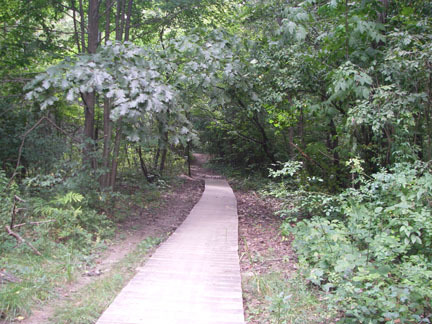 Trails vary in degree of difficulty.